Looks like they may have had some trouble with KickStarter, Oh well back to IGG. It would not have been their inability to deliver, they have proven they can even for something as advanced as their own ASIC. Maybe just too much bad press and complaints? New Video out, still using that stupid graph that ends with 7,000 lumen, if they went to 0 or 1000 lumen we would see a long but dull runtime for the non-batteroo light, but again the bulb will have a shorter life with batteroo, but goddammit why are we still showing OLD CRAPPY PRODUCTS!! !, no one uses the BAD camera they shown, no one (unless they have been living under a rock for the last 10+ years) uses a incandescent torch/flashlight. Did they really design it, or just outsourced it to a Chinese company? The specs are not impossible, but unusual, which is why there hasn't been an existing product which matches exactly; but there are companies willing to do it and put your name on it if you pay them enough. Does that work with LiPo cells? Did they really design it, or just outsourced it to a Chinese company? I've posted before on here how Dr Bob used to work with a guy who is now the head of converters at *insert company name* (I forget). He likely used his contact to get them to spin a custom job for them. But, *insert company name* (Exar I think think it was?) 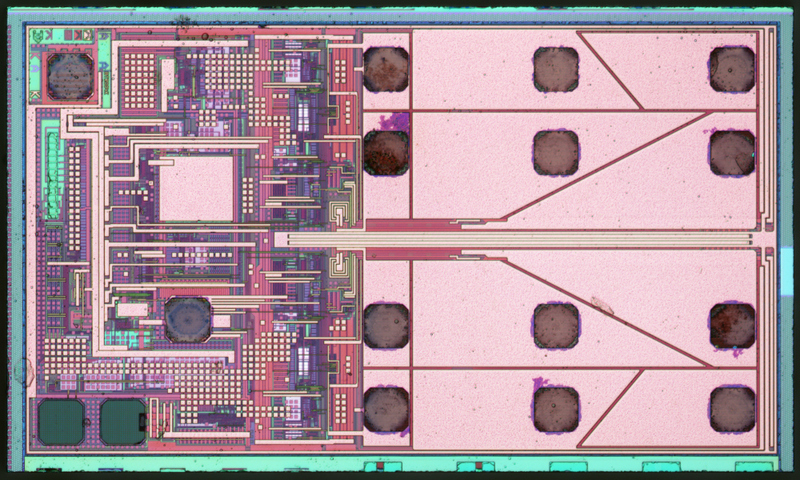 would have put their markings on the die, typically, and there were no third company markings to be seen... Also typically a big company like Exar would prefer to do a custom variant rather than a fully custom IC for just one risky startup customer. Exar doesn't have its own foundry, so they could have just done a design for Batteroo. Batteroo might be ordering chips from the foundry themselves. But if you are paying Exar or anyone else to do a custom part for you, why would they put their name on the die? If I did that then I'd be telling them not to put anything on it. It's the equivalent of the annoying habit of PCB manufactures putting their name on your PCB. We’re only 1 day away from the start of the Batteroo ReBoost crowdfunding campaign! This Monday at 2:00 AM PST, the Batteroo ReBoost pre-sale will be live on Indiegogo. Batteroo ReBoost brings together the peak performance of disposable batteries with the reusability and sustainability of rechargeable batteries. With the help of ReBoost, you can use rechargeable batteries in all of your battery operated devices. Click here for our Launch Preview. To thank all our valuable backers for your continued support, we are going to provide a link to our "Secret Community Perk" only visible to our supporters once the campaign begins. Don’t forget to sign up here to be notified when our campaign goes live and be eligible for our Batteroo Community Special Perk! We will send an email out with the link once it is available so stay tuned! Contributions in the first 48 hours are a crucial for the success of our campaign, so please come and show your support by purchasing Batteroo ReBoost, and tell all your friends! We're excited to be releasing these innovative products and can’t wait to share more news about our Indiegogo campaign. Please follow us on social media and get all the latest updates (Facebook, twitter, Instagram). Thank you once again for supporting Batteroo. The links in the email are tracked (I cleaned them up for you guys, though). I don't see this attracting anything like the amount of interest that their previous campaign did. If someone claims to have a device that increases battery life by 8x, everyone pays attention but; "Batteroo ReBoost: Make rechargeables work anywhere" won't mean anything to most people. I'm still waiting anxiously for all those media outlets that were proclaiming the Batteriser to be the best thing since sliced bread, savior to all cells in every device, every toy for every girl and boy to come out and show us just how well they really work! You know, since they put it on my local news an all, saying how it was going to be a game changing device! Where is all the followup? Show me just how good it is! Given that $395k came from the IGG campaign, they have only been able to achieve an extra $100k in sales. It's a flop. You can't sustain the wages of all the top people they have with only $500k in sales. How will ReBoost SmartSleeves allow my devices to perform better? The voltage level provided by a rechargeable battery is around 1.2v as opposed to 1.5v in disposable batteries. Many devices’ performance is related to the voltage level of the battery. Take a flashlight or a laser pointer as an example -- the intensity of the light or the laser is proportional to the level of voltage from the battery. A disposable battery starts at 1.5v and has a brighter light than those of a rechargeable. Batteroo ReBoost would boost the voltage of the rechargeable to that of a disposable battery and will provide superior performance right from the get go. However, Batteroo ReBoost doesn’t stop there. Although disposable batteries usually start up at 1.5v, this voltage drops pretty rapidly to 1.2v and below after only a short amount of time, limiting the performance potential of your device. To that point, the rechargeables stay at 1.2v much longer than disposables. Batteroo ReBoost combines the best of both worlds by enabling the battery to start at the high performance of disposables, while maintaining this optimal performance (level of brightness for flashlights), for the entire time that the rechargeable has power above its safe level. Ultimately, Batteroo ReBoost brings together the peak performance of disposables with the reusability of rechargeables for a more cost effective and environmentally conscious solution. Not only are they almost completely obsolete, but they fail to explain that their wizz-bang sleeve will drastically shorten the life of the bulb. I probably need to read the fine print somewhere again but wouldn't the derived income from the IGG campaign be technically classed as received donations as opposed to sales ?, anyway I still suspect half the backers were either dodgy aliases, associates or family members which hardly count for much in the scheme of things. Lots of other unexplained areas. Say you have a really big torch with 4 D cells. We have already worked out that assuming 100% efficiency, the Batteroo ReBoost D cell with three 2 AH NiMH batteries will have much less available energy than a decent 10 AH to 14 AH NiMH D cell without Batteroo. devices . I am glad they have solved the convenience problem! And they have an AA Reboost device that can house a single AAA cell with under half the energy of the original AA cell. What? Is there a competition for the Dumbest Device of the Decade? It is rather like discovering a way to make a Porsche 911 behave almost as good as a VW beetle. I probably need to read the fine print somewhere again but wouldn't the derived income from the IGG campaign be technically classed as received donations as opposed to sales ? Not when it comes to marketing! They highlighted and bolded that number (probably to impress future investors) so you can bet your bottom dollar they will include every single sale made including the IGG campaign. With the help of ReBoost, you can use rechargeable batteries in all of your battery operated devices. Geez. I throw rechargeable batteries into almost anything. I didn't know I needed their product to use them. What a rip selling batteries that need another product to work.